In the over $4,000 range of gas grills you have moved into the best of the best. These gas grills are made by some of the best companies in the industry and are made to professional specifications. 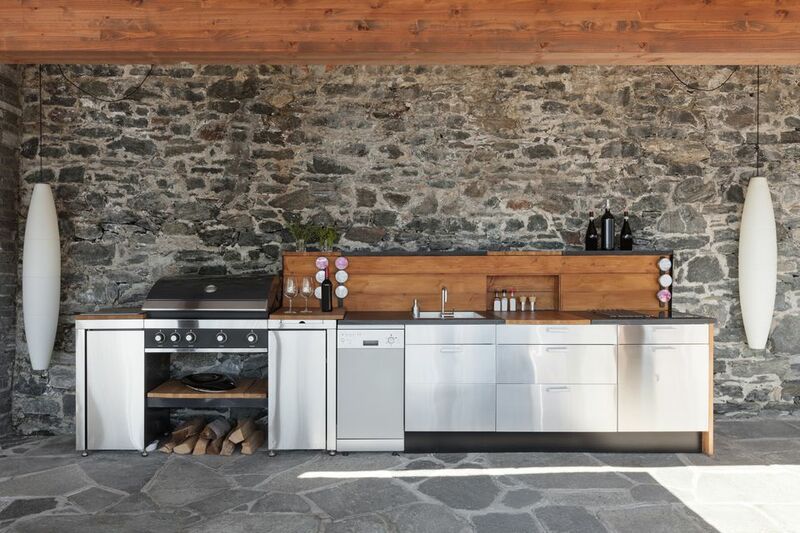 You can spend as much as $25,000 for a freestanding gas grill but you get a grill that is customizable and idea for custom enclosures or outdoor kitchens. You should expect years of excellent service, both from the grill, the manufacturer and from the people who sell it to you. When looking for a gas grill costing more than $4,000 I suggest you start by looking for a local retailer. Typically these stores are locally owned (major retailers don't stock these grills) and specialize either in patio furnishings or fireplaces. The people who work at these stores should be well trained and know what they are selling, how to install them, and how to service them. Having this kind of support is important. You are shopping at the high end of the spectrum and the first question you need to ask yourself is what do you want out of this gas grill. You are, after all, going to put down a lot of money. If, as I suspect, you are looking to build an outdoor kitchen you want to look at more than just the gas grill. There are manufacturers out there who can supply you with everything to build a custom outdoor kitchen including 64,000 BTU side burners for crab boils, smoker ovens, refrigerators, warming drawers, keg coolers, sinks, dishwashers and everything else you can imagine. While you can pick and choose these items from a host of different makers, for purposes of support and installation you might want to get it all from one company. This starts with finding an installer who can do all this, but also means looking for a company that builds it all. A quick search and you will be able to browse through all their products. When looking at the kinds of features that you can get keep in mind that the more complicated a gas grill becomes the more likely it is that something might go wrong. This is true of cars and it is true of gas grills. At this price range, you can get some pretty wild accessories ranging from in grill stereos to remote-controlled, electrically powered hoods (so you can check on what you are cooking from 50 feet away). As I say for all grills, regardless of the price, if you don't need it, don't buy it. These extras may seem cool, but they can cause support headaches down the road. Plain and simply you should expect the best from gas grills in this price range. Expect this not only from the gas grill but from the manufacturer and from the people who sell it to you and/or install it. You are paying a lot of money, so don't forget it. Most grills in this price range are adjustable, meaning that burners, valves, lighting, and more can be adjusted to give you the best grilling experience possible. If you have uneven heating in a gas grill that cost you more than $4,000 there is a problem and you deserve to get it straightened out without any hassle. Of course, a gas grill costing more than $4,000 is going to need to be taken care of and while you can get service contracts and pay people to do a lot of the work for you, the responsibility of how long it will last and how well it works over time is up to you. This means reading the manual and making sure that everything the manufacturer says needs to be done to do to keep the grill in perfect working condition is done. Again, this is how you would take care of a car and when you've spent this much on a gas grill you need to give it the same kind of attention and regular maintenance.